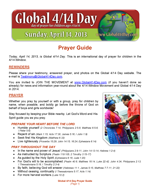 The Global 4/14 Day Prayer Guide is now available! We encourage you to download, print, and use this guide as you pray for children on April 14, 2020. 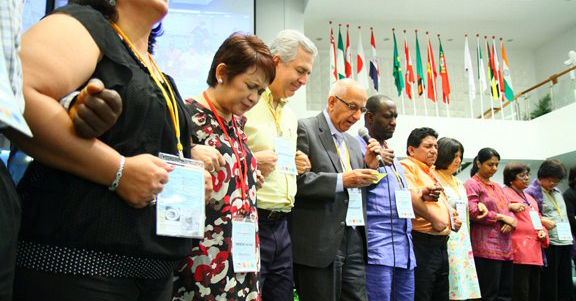 Click here for the Prayer Guide. A Prayer Guide will be available two weeks prior to Global 4/14 Day. Please check back on April 1, 2020. If you JOIN THE MOVEMENT , a reminder e-mail will be sent to you on April 1.